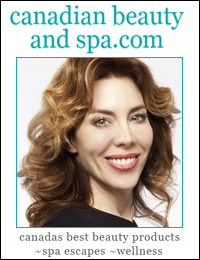 Canadian Beauty and Spa interviewed Dr. Lisa Kellett on the latest skin treatments and fillers. Non-surgical treatments abound these days to help us maintain a youthful appearance; going ‘under the knife’ is no longer a necessity in the anti-aging arena, we have options. To find out what’s new and what works best, we interviewed Dr. Lisa Kellett M.D., F.R.C.P. (C), D.A.B.D. from DLK on Avenue Cosmetic Clinic in Toronto, specializing in non-surgical and cosmetic treatments. B&S team: What can be done about Sun Damage or other pigment problems? DLK: Intense pulsed light (IPL) is an effective procedure that treats sun damage and other pigment problems like brown spots. ProFractionallaser also reduces brown spots. Dermamelan is a new treatment program that works for deeper dermal pigment such as that seen in Melasma. B&S team: What is the latest product/treatment in anti-aging skin treatments? DLK: There are very exciting advances in the field of non surgical skin tightening using the CPT Thermage which stimulates collage and helps to tighten skin. It allows tightening of the face and neck, stomach, legs and eyes without surgery and it is very efficacious. There are also new state-of-the-art injectable treatments available that restore lost volume and help to lift the skin without surgery. B&S team: What are the latest innovations in Dermal Fillers? DLK: Dermal fillers are now being formulated with lidocaine, which makes treatment much more comfortable. The delivery of injectable fillers using Mesotherapy uses superficial micro-injections into the dermis and most recently the advent of the Cannula has allowed for injections with more ease of use and comfort. B&S team: How do Botox and Dermal fillers work? DLK: Botox works by reducing the contractions of the muscles that cause persistent frown lines that have developed over time. BOTOX is a safe, purified protein, which reduces the activity of the muscles that cause frown lines between the brows to form over time. B&S team: What areas give the highest impact difference after a Botox treatment? DLK: Crow’s feet, the corners of the mouth and frown lines show great improvement from Botox. B&S team: How do you fill in hollows under the eyes? 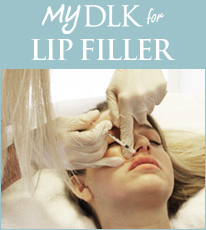 DLK: Injectable fillers improve the appearance of under eye circles by filling hollows and restoring loss of volume. Injectable fillers are made with Hyaluronic acid which is a normal component of human skin that holds water and causes a plumping effect. In this case the plumping of the skin under the eye greatly reduces the appearance of dark circles.